The Autowatch Key Guard system allows you to Chip & Pin your car. It is designed to stop thieves from using stolen car keys to steal vehicles. To disarm the immobiliser a unique customer chosen PIN code is needed and entered into the remote to start the vehicle. 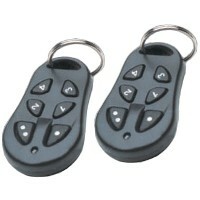 The remote can be added to your car keys or mounted in the vehicle.